Like the late Andy Rooney, we all occasionally wonder about things that have no real significance but just seem puzzling. Lately, I’ve been mulling a few of those topics related to cigars. 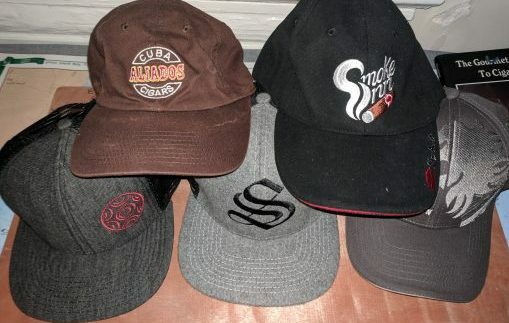 Do cigar makers really believe we want more baseball caps? I understand that every company likes to get its name out there, especially with virtually free advertising. And I realize that a few years ago baseball caps seemed to be de rigueur as a fashion accessory. Mercifully, that trend seems to have gone the way of mullets. But cigar companies continue to offer branded caps as an “inducement” to buy their cigars. When we moved last year, I must have pulled a dozen or so unworn caps from the back of the closet and dropped them off at a local thrift shop (where they probably went into the trash). Why do cigars end up connected to scandal after scandal? Israeli Prime Minister Benjamin Netanyahu is in hot water amid allegations of corruption. And what is among the most mentioned illegal gifts he supposedly received? Boxes and boxes of Cohiba Siglo V. One story even estimated how many hours Netanyahu would have spent smoking the storied Cubans through the years. No doubt the most famous cigar appearance in scandal history was with Bill Clinton and Monica Lewinsky. More recently, cigars have come up in the ongoing Mueller investigation. Where did then-Trump campaign manager Paul Manafort, his deputy at the time, and Konstantin Kilimnik meet in the summer of 2016? Where else but New York’s Grand Havana Room. Why aren’t names like robusto and Churchill good enough? I never cease to be amazed at the “creative” names cigar makers come up for the different sizes of their cigars. Sometimes weird, sometimes funny, sometimes just odd. But whatever the monikers are, does anyone ever actually speak those names? I can only surmise that they are adapted because the urge to be “creative” is overwhelming. Believe me, though, robusto, Churchill, torpedo, etc., have worked fine for years and years—and they still do. All valid points. “Mercifully, that trend seems to have gone the way of mullets” had me (and my mullet) laughing out loud. Good stuff, George. Do you have a spam problem on this site; I also am a blogger, and I was curious about your situation; many of us have created some nice procedures and we are looking to swap strategies with others, please shoot me an e-mail if interested.